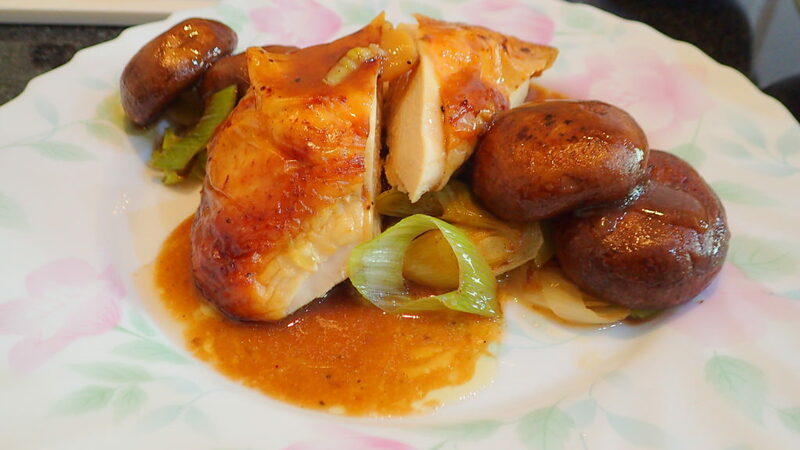 One of hubby’s favourite chicken dish is the Cantonese roast chicken. In fact he is most happy if he can have Cantonese roast chicken with Hainanese chicken rice. He does not like the white poached chicken. He prefers ‘poached’ chicken if it is done in the Sous Vide. For someone who can’t cook he sure knows what he likes and doesn’t like! 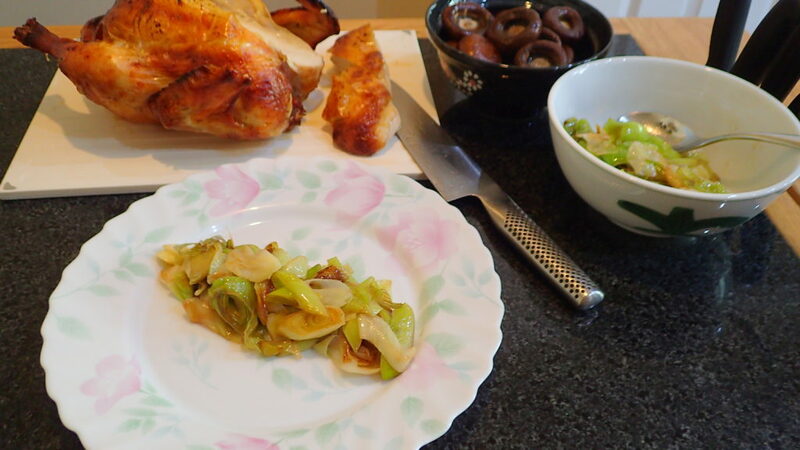 Every time I buy a chicken he will ask hopefully if I am making Cantonese roast chicken. I always say no, that’s boring as it does not need any ‘intricate’ cooking. 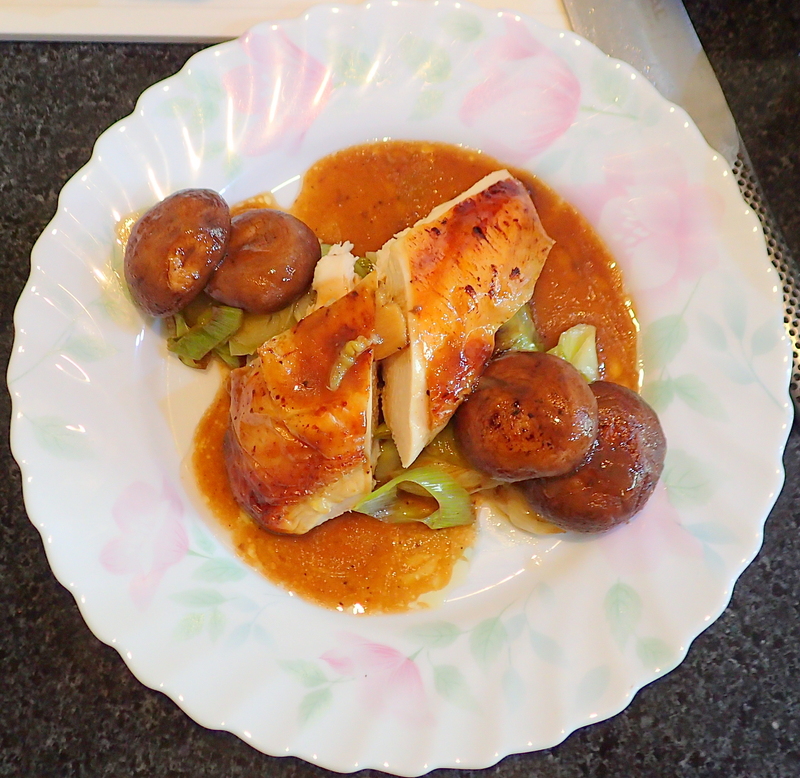 So this is indeed an easy dish. 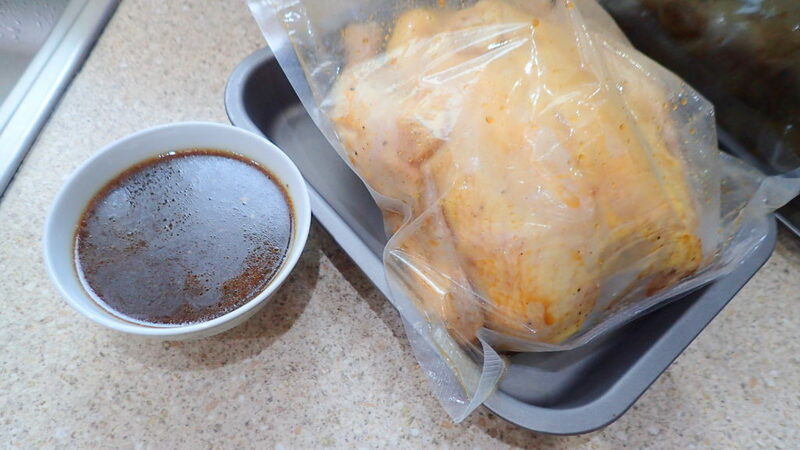 Just marinate the chicken, stick it in the fridge for a minimum of 48 hours, turning it one or twice to make sure the marinate permeate the entire chicken. 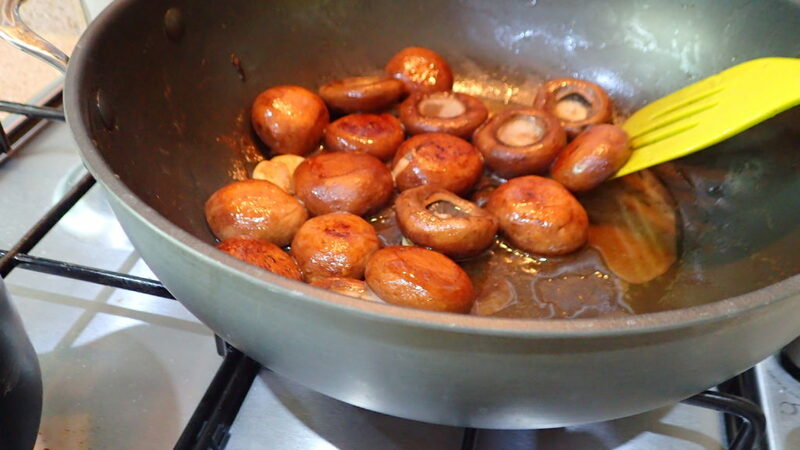 On the day of cooking remove it from the fridge and let it drain and dry for a few hours. Drying under the sun is the ultimate way and the skin looks like leathery after a few hours. 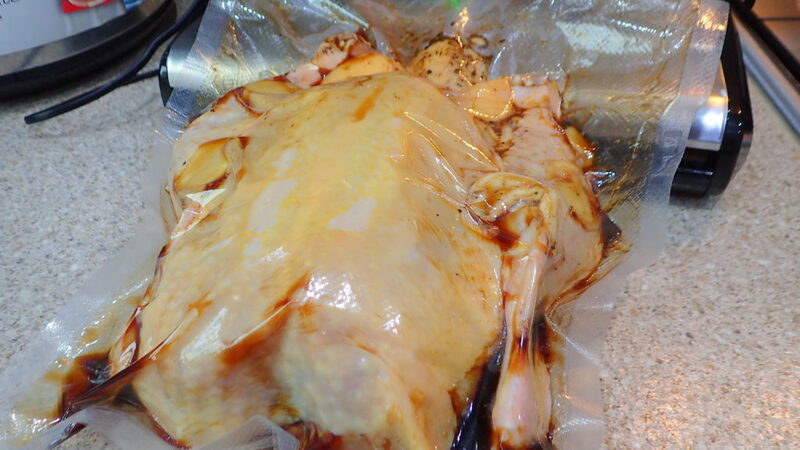 Bake this leathery skinned chicken in the oven and you will be amazed. Failing to have the co-operation of the sun you can plug in a hair dryer. Rub the chicken with salt all over and rinse dry. 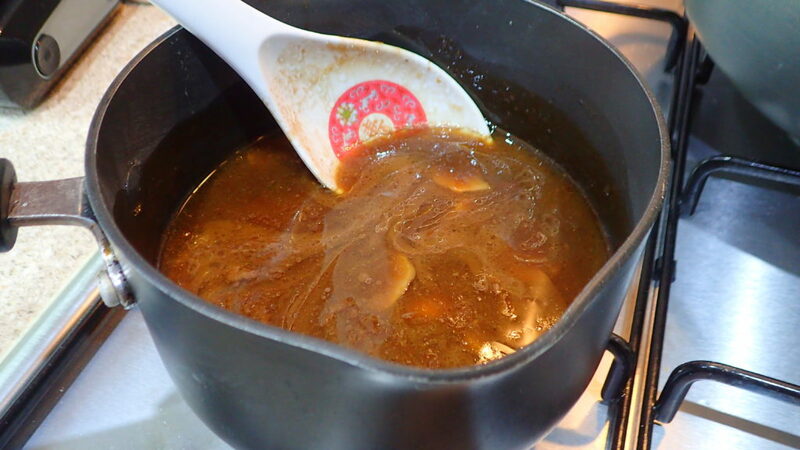 Let it dry for half an hour before marinating. Marinate the chicken and stuff the cavity. Place into a bag. Keep it in your fridge to marinate for at least 48 hours. 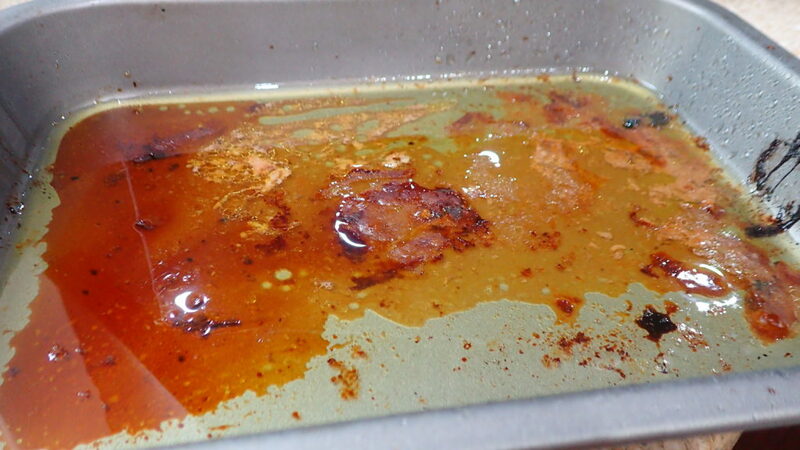 At least 6 hours before roasting, take your chicken out of the fridge and drain discarding all the marinate. 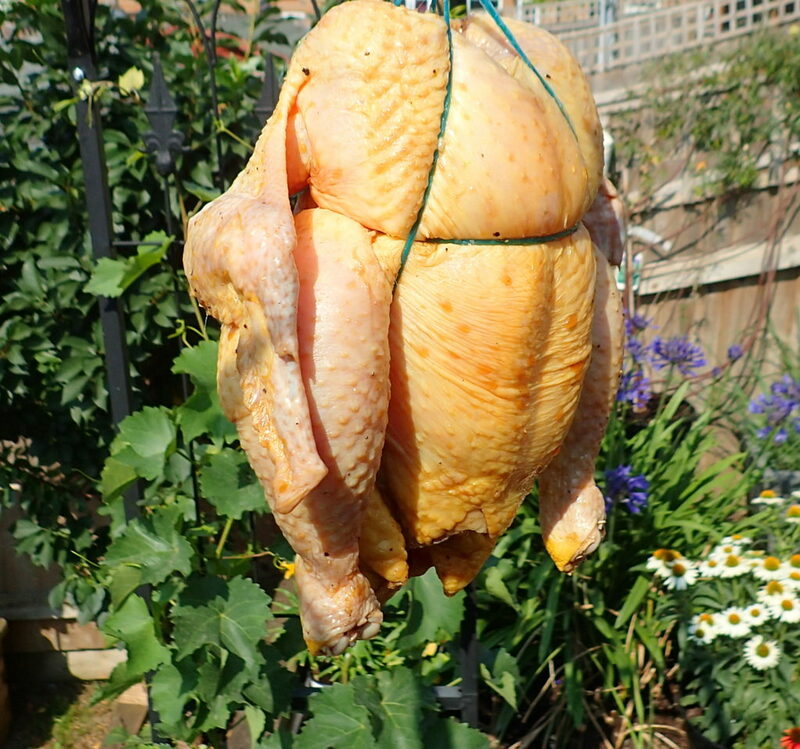 Dry your chicken in the sun, making sure that all the skin are dry to a leathery look. Fan assisted oven set to 200C and roast for 45 minutes. Half way roasting you can turn the chicken. 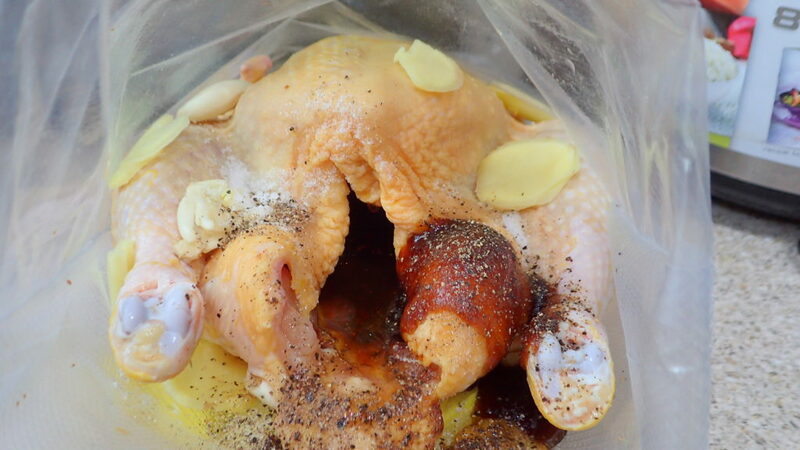 As you dry the chicken in the sun you will smell the nice aroma of the rice wine and 5 spice. 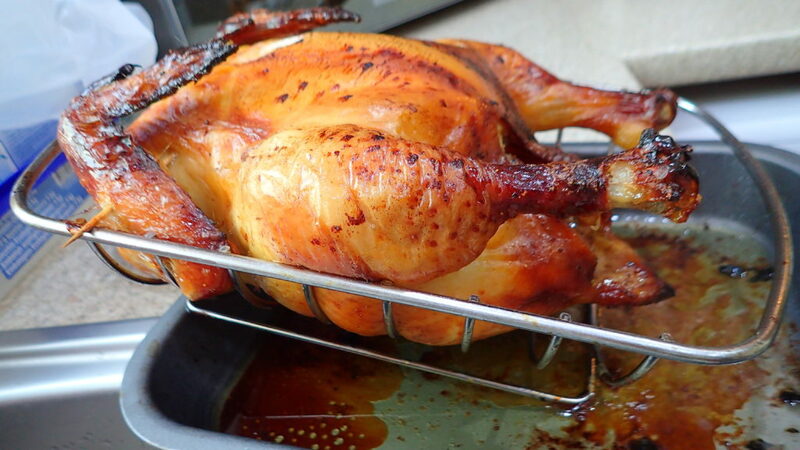 Save the roasting “liquid gold” to drizzle over your chicken or rice. Serve with your choice of vegetables. I just happened to have some lettuce and few tomatoes from my garden left. Autumn is coming.